Musgrave was named to his third mission (STS-33) on 30 November 1988. This was a classified military Shuttle mission that was launched on 22 November 1989 and landed on 27 November, after a flight of 5 days 6 minutes 48 seconds and 79 orbits. Six months later, on 24 May, Musgrave was named to the crew of STS-44, another Department of Defense (DoD) Shuttle mission. This flight launched on 24 November 1991 and landed on 1 December, after a flight of 6 days 22 hours 50 minutes 44 seconds and 110 orbits. 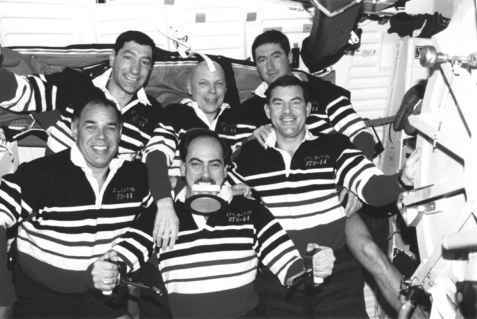 The crew of STS-44. At rear (left to right): MS Mario Runco, MS Story Musgrave, Pilot Terence Henricks. At front: Commander Fred Gregory, PS Tom Hennen and MS Jim Voss. commercially-orientated missions. By 1991, the DoD was pulling away from Shuttle missions and transferring its payloads to expendable launch vehicles. However, three remaining missions (STS-39 and 44 in 1991, and STS-53 in 1992) were linked to military research in technology and procedures, but were more scientifically orientated, receiving a less classified status than those that preceded them. On STS-33, Musgrave flew as MS 2/FE, repeating the role he had performed on STS 51-F four years earlier. This additional experience enabled him to repeat those duties for STS-44. 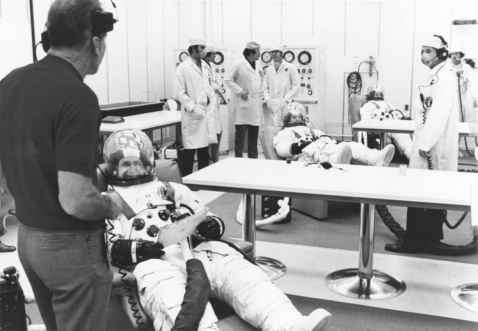 His crew task assignments included photo equipment (still, movie and TV cameras), medical issues and Earth observations. As flight engineer, his orbiter-related tasks included DPS, Main Propulsion System (ET/SRB/SSME), OME/RCS, APUs and Hydraulics, EPS, Environmental Control Life Support Systems, communications and instrumentation. He was also assigned as prime crew member on eight DSOs and served as back-up to the DPS payload.25 "I'm the chief cook and bottle washer on this flight,'' Musgrave explained in the pre-flight crew press conference at the end of October 1991. 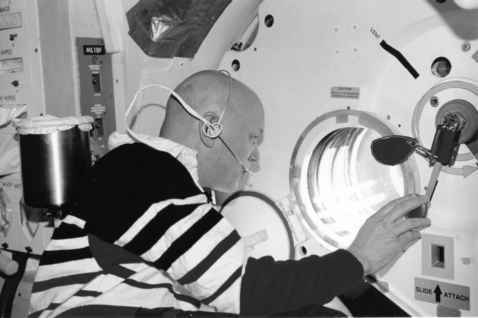 Musgrave conducts one of the medical DSO objectives during STS-44. His test subject is Mario Runco. experiments aimed at supporting the gradual increase of Shuttle mission durations up to thirteen days, as part of the Extended Duration Orbiter programme. The ten-day mission was unavoidably shortened to just under seven days by the failure of a critical element of the navigation system - Inertial Measurement Unit No. 2. As a result, the crew tried to squeeze as much work as possible into their remaining time on orbit. • DSO 316: Bioreactor Flow and Partial Trajectory in Microgravity: All planned activities were successfully completed and an additional test performed. • DSO 472: Intraocular Pressure: Early data for fluid shifts were recorded. However, late flight data were not recorded due to the shortened mission. 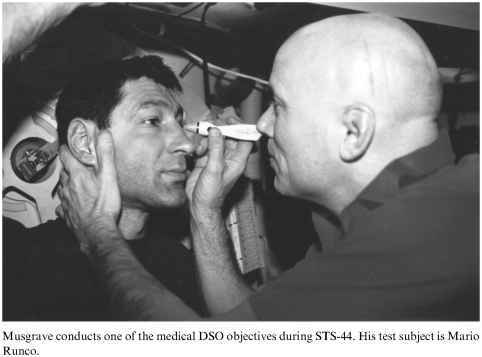 Musgrave works with pilot Tom Henricks on the STS-44 medical DSO programme. throughout the flight by Musgrave, with Henricks, Runco and Voss assisting, no protocol combinations were completed, again due to the shortened mission. • DSO 603: Orthostatic Function During Entry, Landing and Egress: Pre-flight data were recorded, and further data were collected during entry, egress and post landing. • DSO 613: Changes in Endocrine Regulation of Orthostatic Tolerance Following Space Flight: Pre-flight and post-flight data were collected. • DSO 903 Documentary Still Photography. 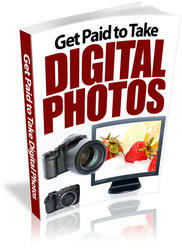 These were all accomplished, with large numbers of images taken during the flight. Musgrave looking out of the side hatch window on the mid-deck of Atlantis.